The Education Minister responds to complaints about Section 3 of the mathematics section of the Secondary Entrance Assessment. Last week questions were raised about the new Section 3 in the math paper after it was reported that students were brought to tears. A critical thinking/reasoning element was added to the paper this year. President of the National Parent Teachers Association, Rafina Ali Boodoosingh said sufficient time was not given for the pupils to prepare. 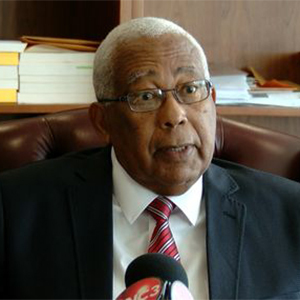 But today, Minister Anthony Garcia says every examination from SEA to CAPE contains some level of difficulty for each student and must have a wide variety of questions from simple recall to some that require greater thought and analysis. Minister Garcia says the new component was included in the exam following consultations. But he is assuring parents that allowances may be made to the mark scheme if it is realized that there were challenges with particular questions for many students. Minister Garcia also says a new SEA syllabus was introduced to facilitate the changes that were coming to the examination. He says the changes were given to the then Standard 4 students who would be writing the examination. Mr. Garcia says students should have been prepared. Mr. Garcia also commended all personnel involved in administering the exam for their diligence and professionalism with the respective tasks assigned.